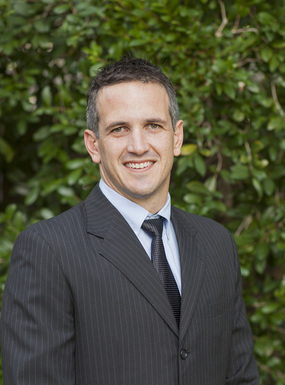 Dr. Philippe Wolanski is a Queensland trained urological surgeon. Having completed his degree at James Cook University he worked as an intern at the Townsville hospital before embarking upon a career is surgery. He completed two years of basic surgical training followed by 6 years of training under the Urological Society of Australia and New Zealand (USANZ). During this time he completed research papers at the Royal Brisbane and Women's Hospitals which he presented at several meetings including the National USANZ meeting. Additionally he was the recipient of the USANZ international exchange programme scholarship in which he participated and presented at the Urological Association of Asia Trainee week in Singapore. Dr Wolanski spent his post fellowship exam year working with state of the art facilities at the new Gold Coast University Hospital. This exposed him to a wide array of uropathology, giving him the opportunity to practice a broad range of urological procedures. This has been followed by further training in Andrology and Reconstructive surgery as an honorary fellow at the University College London Hospital under the supervision of Mr. David Ralph. Dr. Wolanski offers expert surgical advice and practice in erectile dysfunction, male urinary incontinence, urinary symptoms, prostate pathology, renal calculi; bladder and renal malignancy. Having trained in minimally invasive endourology, he can offer the latest surgical treatments including laser stone and prostate management and laparoscopic renal surgery. Dr. Philippe Wolanski works as a staff urologist at The Townsville Hospital, being involved in the teaching and supervision of its trainee's, as well as directing research. Additionally he works privately in his Coastal Urology Clinic rooms at the Mater Private Hospital, Townsville. He continues as a member of Urological Society of Australia and New Zealand (USANZ) and the Royal Australasian College of Surgeons (RACS) and is committed to ongoing professional development to maintain his practice at the forefront of technology and research. Click Here to find out how to make an appointment with us. © 2016 All Rights Reserved. Web Design by DM Creative Media.